Derek Jeter said "good bye" to Yankees fans following the 2014 season, after playing his entire career before the Bronx faithful. Upon his retirement Jeter's legacy included a long list of career achievements and awards. 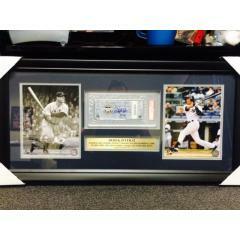 This handsome 19x29 framed collectible is a tribute to one of those achievements. 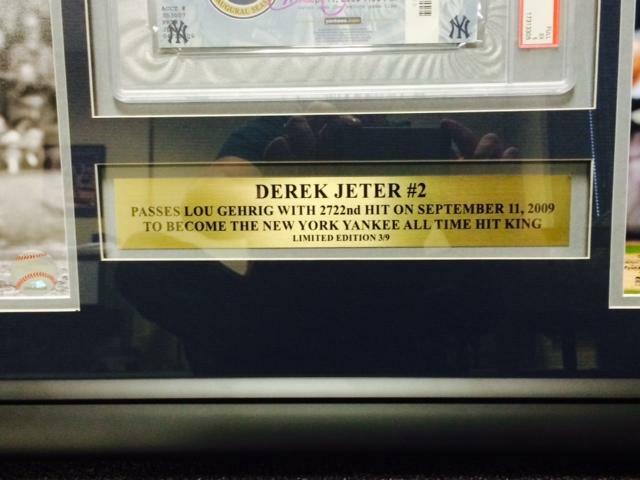 On Sept. 11, 2009, Derek Jeter collected hit no. 2,722 to surpass Yankee legend Lou Gehrig and become the New York Yankees All Time Hits Leader. Jeter finished his career with a total of 3,465 hits. 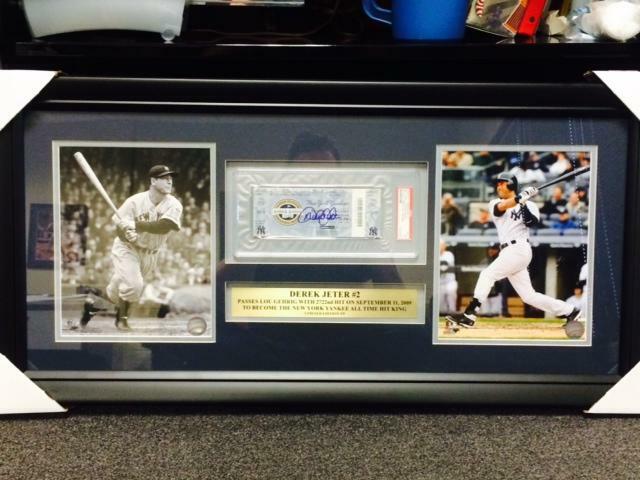 This amazing, framed presentation includes one (1), 8x10 photo of Lou Gehrig, one (1), 8x10 photo of Jeter and one (1) actual ticket from the 9/11/09 game SIGNED by Derek Jeter. 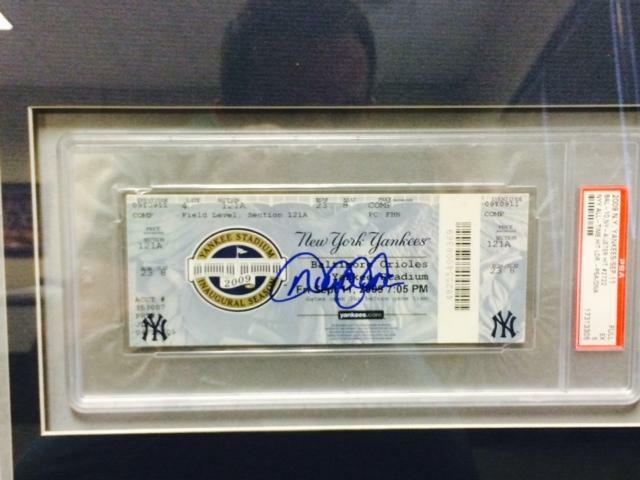 This ticket includes the Inaugural Season logo (opening of New Yankees Stadium), and was fully authenticated and encapsulated by PSA/DNA. This historic piece will look great on any wall in your home or place of business Get it now before it is gone. We have just one (1) in stock, and this is no. 3 from a very limited release of only 9 total pieces. Due to the rare nature of this offer we must charge your credit card for the full price immediately upon taking your order. This policy ensures we reserve the item for you. We will confirm your order by Email. Please allow 2 to 4 weeks for shipping.